ULTRA Japan Returns for 4th Annual Edition! 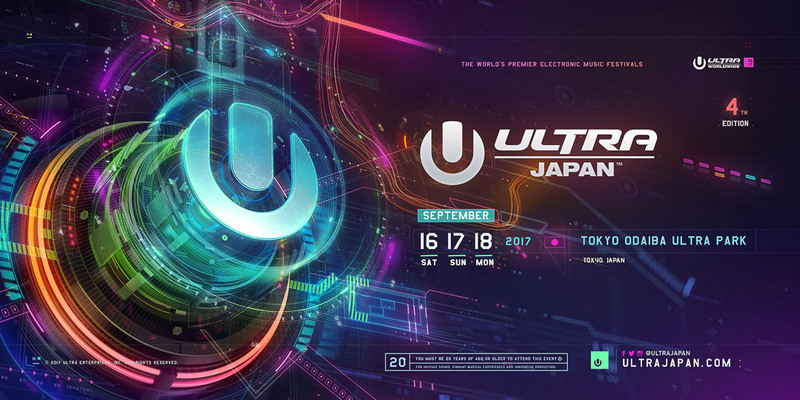 ULTRA Japan will return to Tokyo Odaiba Ultra Park this 2017 for what will be its 4th consecutive edition. The festival will be held over three days from September 16, 17 & 18, during the ‘Silver Week,’ and will play host to a vast array of international and world famous electronic artists. Over 70 world famous international acts performed in 2016, including Kygo who played at the Rio Olympics Closing Ceremony, continuing ULTRA Japan’s vital role in the Japanese music scene.